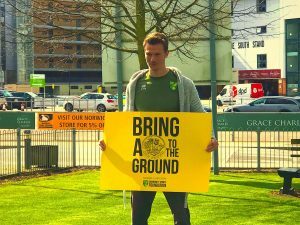 On the pitch, Daniel Farke’s City are charging their way to the glitz and glamour of the Premier League, and the atmosphere around the football club is one of positivity and togetherness. The goal is simple. Get this job done and then head to the top table with the intention of convincing punters they possess enough to stay there. But, at the end of the day, that’s just football and in the real world it’s a debate that comes second to the struggles many people have to face and overcome in their everyday life. Tomorrow, the club pays homage to a special organisation, one that is enriching and enhancing the lives of thousands around the county of Norfolk. The Community Sports Foundation has been ensuring those faced with adversity are presented with a toolbox of skills to help them overcome their problems and achieve, irrespective of what their issue is and not limiting the size of their dreams. The Community Day is an opportunity for fans to get behind the CSF’s work, which includes supporting people with disabilities and their families, and improving skills and raising aspirations for people from disadvantaged backgrounds. 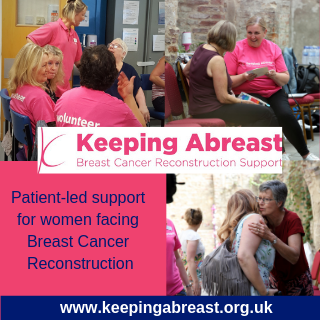 Many of their programmes rely on funding and fundraising from a number of activities such as Saturday’s ground collection. For some, it’s about making life as simple to navigate as possible. Whether the participant is eight years old or 98 years old, the CSF’s aim is to allow those who struggle to flourish and achieve through the power of sport. Improving physical activity is a key aim but also socially, whether it’s the skills they develop in young children or providing those that experience loneliness with the opportunity to meet new people. Given the current state of the news headlines and the negativity that seems to be engulfing society, it’s easy to forget about those who continue to help while not receiving the headlines they deserve. Negativity sells but positivity always prospers. Regardless of the political arguments and moments of darkness, organisations like the CSF restore that faith in humanity. Not merely because they are involved with Norwich City FC but because they are invested in people first and foremost. That work is being, rightly, commemorated and celebrated at tomorrow’s game against Queens Park Rangers. Supporters are encouraged to bring a pound with them to the game and donate to one it to one of the numerous bucket collectors (of which I will be one) around the ground. If everybody contributes to this scheme, the money raised could impact more lives and allow people to overcome hurdles, however high or challenging they may be. The current crop of City players have also contributed to the day, with each of them donating to this wonderful cause. 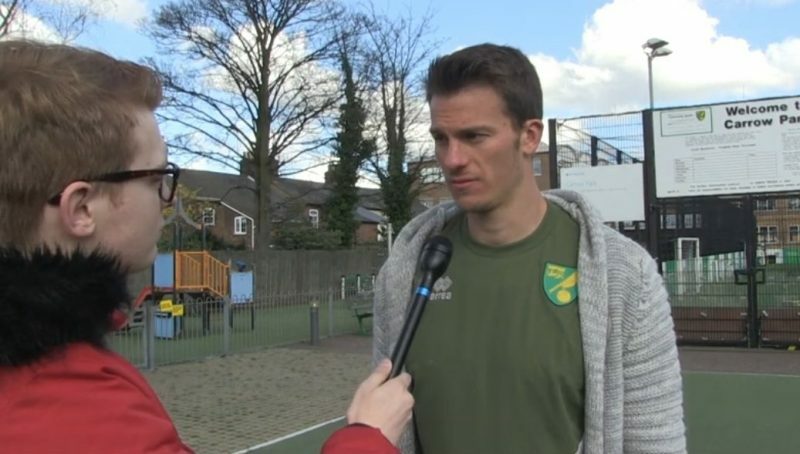 Christoph Zimmermann was at Carrow Road yesterday, ahead of this weekend’s fixture, involving himself in a session with local school children. “As players, we all know that we have a privileged life and that the club, the supporters, the whole community makes it possible for us. Whenever there is an opportunity for us to give back, then that is something that we haven’t got to do but it’s something that we should do. Zimmermann has been crucial in Norwich’s rise to the summit of the division. The German warrior has worn the armband and is leading off the pitch as well as on it, something he is humbled by. City face a currently manager-less QPR side desperate to rediscover some positive form ahead of a seven-game sprint to the finish. For City, this home game serves as another game to conquer in their quest to take another step towards promotion – something Zimmermann and the squad are desperate to achieve for the football club. “We just need to do what we’ve been doing all season. We’ve been taking it game by game, as easy as that sounds. The rest of the season has started with the Middlesbrough game and now, for us, it’s the next chance to take a good step, have a good game and get three points at home. “The current situation is way more positive than we expected it to be. We’re very happy to be in this position and have something to play for, unlike last season where we were in the mid-table and not close to the playoffs but also far from relegation. Zimmermann arrived, by his own admission, as a fourth-choice centre back. Now, the German is leading out his side and a key cog in this City engine. It’s quite the rise for a player who considered quitting the game to go into teaching only a few years previous. “It’s a dream come true. “Two years ago I was playing in the fourth tier in Germany and you never think ‘okay, you can play on a regular basis for a Championship club like Norwich City’. Being where we are at the moment, I don’t think anyone would have believed it. I would have been the last one to do so! “Within my time here, I didn’t expect to have this role [being captain] and to play regularly, even though it’s because of injuries to the other club captains that I’ve been given the armband, it’s something that has developed quite well for me because I enjoy being in that role. If you would like to donate but can’t make it tomorrow, please visit the CSF website where you can donate online. 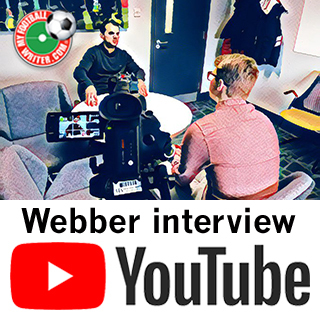 My full interview with Christoph is available here, on MyFootballWriter’s YouTube channel. I’m in with maybe more than a quid! I’ve experienced first hand the work of the CSF, when I taught special needs pupils. Such a brilliant way of bringing young people together in a setting where they can demonstrate what they can, rather than what they can’t, do. Dig deep City fans. OTBC!